Editor’s note: Sri Ramana was one of the most liberal, tolerant, and nonjudgmental sages. He understood the nature of human weakness and was compassionate towards those who were criticized by others as sinners. The following story illustrates this point well. 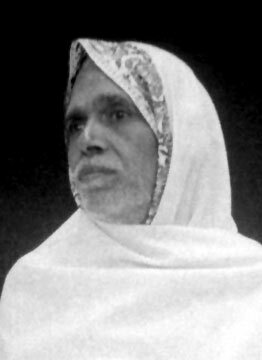 An inmate of Ramanashram who had been serving Bhagavan Ramana for many years started visiting a certain woman in the town. Her relatives came to know of it and decided to catch and kill the man. One night they caught him at her house, bound him hand and foot and locked him up in a room, postponing the cutting of his throat until they had found a safe way of disposing of the body. The devotee then told the story of his affair with a lady in town and his visits to her house. He described how he was caught and that the lady’s relative had wanted to kill him. From the next day the man was back at his work in the Ashrama serving Bhagavan. Bhagavan went on as if nothing had happened at all the night before. In fact, Bhagavan would not mention the matter at all. Everybody in the town came to know what happened. The Ashrama people requested Bhagavan to send the man away, for his presence would tarnish the good name of the Ashrama. The man stayed with some devotees outside the Ashrama and came back after a few months. Adapted from “The Bhagavan I Knew,” Ramana Smriti Souvenir (mentioned in the Ramana Maharshi Newsletters).